This page shows the latest Akorn news and features for those working in and with pharma, biotech and healthcare. 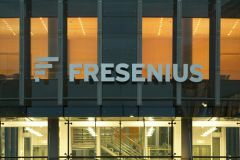 Akorn is furious about the decision, and says it intends to hold Fresenius to its obligations under the merger agreement. ... Akorn can claim a termination fee, which in the original merger agreement was valued at $129m. A recent example of Big Pharma's entry into the generic marketplace was the purchase by Pfizer in December of 22 abbreviated new drug applications for $56m from the Akorn-Strides ... 80. Akorn-Strides/Pfizer. Acquisition of 22 ANDAs in US. Registration. 45. ECR Pharmaceuticals / Valeant. Company acquisition. Akorn subsidiary with branded generics business. VersaPharm / Akorn. Company acquisition. US generic company selling dermatology products with $100m sales. Merck sold its US ophthalmic business in 2013 for 1.5 x sales to Akorn. ... Akorn acquired Versapharm, a privately-owned US company that develops and markets generic dermatology products.